Rebecca Tushnet's 43(B)log: Do you know where your towel is, and what claims it gives rise to? Do you know where your towel is, and what claims it gives rise to? Hall obtained a design patent on a “Tote Towel,” a large towel with binding around all the edges, zippered pockets at both ends, and an angled cloth loop in the middle. 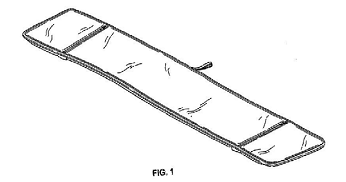 He began producing the towel soon after filing his patent application. He had a meeting with Bed Bath & Beyond and left samples of the packaged towel with BBB; both the package and the towel were marked “patent pending.” BBB then had copies of the towel made, and Hall sued for patent infringement, unfair competition under the Lanham Act, and misappropriation under New York law. The district court dismissed the complaint on the pleadings, and the Federal Circuit reversed except for the claims against individual executives sued in their personal capacity. Design patent: The district court ruled that the complaint didn’t allege which aspects of the towel merited design patent protection, or how the defendants infringed the claim. All that was required was to allege ownership of a cited patent, state the means by which each named defendant allegedly infringed, and point to the sections of patent law invoked. BBB even admitted in its motion to dismiss on other grounds that patent infringement was pled properly. Claim construction isn’t an essential element of a patent infringement claim. The district court wanted the complaint to allege, among other things, what about the towel was “‘new, original and ornamental,’ meriting the protection of a design patent,” but that’s not required by Iqbal/Twombly to give fair notice of the claim. In any event, infringement is based on the design as a whole, not any points of novelty; the design patent is infringed if the ordinary observer would find them substantially the same/deceptively similar. 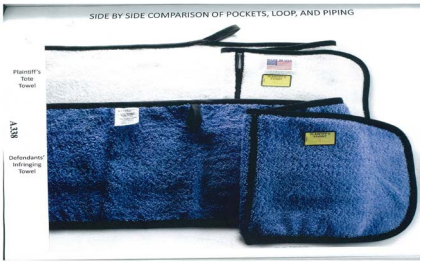 Hall’s complaint identified the patent, included a picture, and described the accused towel as “virtually identical,” with the same shape and almost the same dimensions, including the “unique zippered compartments and hanging loop.” Hall alleged that the resemblance would deceive an ordinary observer, following the infringement standard. The record also included pictures including the two towels. The district court’s sua sponte dismissal should have been reserved for a complaint that was “so confused, ambiguous, vague, or otherwise unintelligible that its true substance, if any, is well disguised.” The pleadings allowed the court to draw the reasonable inference that BBB was liable; no more was required. ¶ 62. Defendants' use of [phrases including “Workout Towel,” “drapes around your neck,” and “convenient zipper pockets”] are likely to cause confusion, mistake, or to deceive as to the affiliation, connection, or association between the Tote Towel and the Counterfeit Towel. ¶ 63. 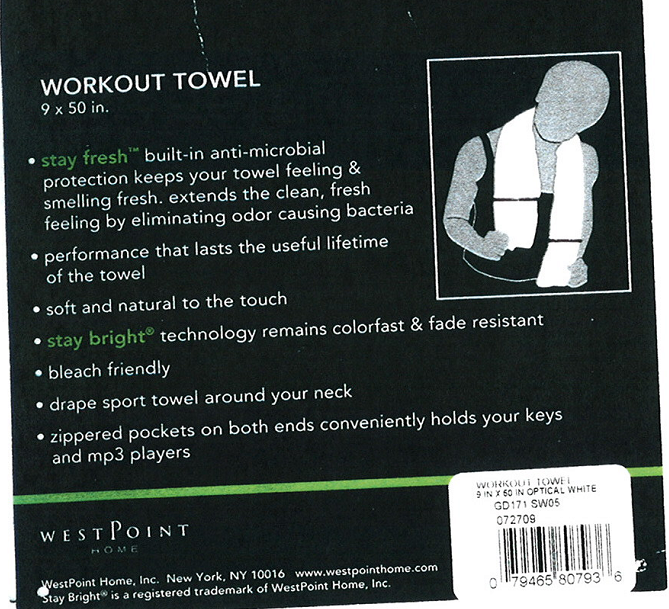 The packaging of the Counterfeit Towel also states “performance that lasts the useful lifetime of the towel.”...Defendants' use of these terms and words on its label and in commercial advertising and promotion misrepresents the nature, characteristics, and qualities of the Counterfeit Towel which is of extremely poor quality and falls apart only after several washes. ¶ 64. Defendants' attempts to claim Hall's innovations and sell inferior, cheaper products, promising lifetime use, amount to unfair competition and misappropriation under The Lanham Act, 15 U.S .C. § 1125(a), which has caused and continues to cause serious injury to Plaintiff. The district court held that the “likely to cause confusion” allegation didn’t state a claim because the complaint didn’t allege the existence of a trademark, either in the packaging or the design. On appeal, Hall argued that his complaint wasn’t limited to trademark/trade dress, but rather that BBB advertised an identical and similarly packaged towel that would be confused with Hall’s towel. (Um, that is a trade dress claim. That’s like saying that two light bulbs are indistinguishable and therefore confusing. See below for more.) A false advertising claim can be brought against a defendant who misrepresents the quality of its own goods. The court of appeals concluded that Hall plausibly pleaded falsity, whether literal or by necessary implication. Although “lasts the useful lifetime of the towel” literally just says that the towel lasts as long as it lasts, even if it lasts for only one washing, that could still be false. The claim “implies that the towel will not fall apart after a single wash or a few washes.…A reasonable consumer would expect the ‘useful lifetime’ of a towel to be more than one or a few washes.” The court analogized to the “Night Time Strength” case, Novartis Consumer Health, Inc. v. Johnson & Johnson–Merck Consumer Pharmaceuticals Co., 290 F.3d 578 (3d Cir. 2002). While in theory “Night Time Strength” could mean “whatever strength the product happened to have at night,” the court there found falsity by necessary implication because the phrase conveyed that the product was specially made to work at night. Nor did Hall need to plead actual harm, only likely harm. The parties’ products compete, and Hall alleged that one of his resale customers mistakenly believed that BBB was selling Hall's towel “for nearly half his price.” When the parties compete and the advertising is misleading, dismissal on the pleadings was inappropriate, given the Lanham Act’s “flexible approach” to injury and causation. The district court thought that the performance claim was nonactionable puffery. The test was whether a reasonable buyer would take the representation at face value; if no one would take it seriously, there’d be no danger of consumer deception. BBB’s claim of “lasting” performance was “stated as a fact; it is not ‘blustering’ or ‘boasting,’ and does not sound like ‘puffery.’” Dismissal reversed. Note: it seems to me that only one of plaintiff’s §43(a) theories survives—the theory that BBB falsely advertised quality, not that its sale of a copycat product constituted false designation of origin, as alleged in ¶ 62 and repeated as “attempts to claim Hall’s innovations” in ¶ 64. The opinion doesn’t say so outright, but its discussion is all about quality, and it couldn’t be clearer that Dastar bars the false designation of origin claim, which is, per the complaint, that by copying the design BBB created confusion about source. If there’s no valid trade dress, that’s Dastar-barred. Indeed, the Federal Circuit was pretty clear about this when discussing 9th Circuit law a few years back. The court of appeals also reversed the dismissal of the NY GBL § 349 and common-law misappropriation claims, for similar reasons. Hall alleged that BBB willfully misappropriated his product, ideas, and design, and that the deceptive act under § 349 was the quality/performance claim. The district court held that Hall didn’t allege injury, even if customers were misled, but Hall pled that “the extent of the imitation of the Tote Towel by Defendants” confuses consumers into associating the Tote Towel with “the inferior Counterfeit Towels,” and that this confusing similarity harms Hall's reputation. Again, this is a Dastar-barred theory of injury (or really a Sears/Compco barred theory, though see below), but the court found that Hall sufficiently pleaded possible injury to his business. NY common law bars unjust enrichment. Hall’s claim was based on BBB’s acts “in accepting Hall's sample towel, ostensibly for consideration of a commercial relationship, and acting in bad faith by having Hall's towels copied for commercial benefit.” The complaint alleged misappropriation by “stealing” Hall’s patented designs. The district court held that Hall failed to plead any kind of contractual or quasi-contractual relationship, as required. But Hall argued that that line of precedent applied only to misappropriation of ideas, not misappropriation of labor: he alleged that “he spent time and money designing the towel, surveying and buying materials, assessing consumer interest, manufacturing the Tote Towel, and further efforts, including applying for the '439 Patent.” Thus it was his labor that was misappropriated, not his idea. Comment: Hunh? Not only is this a workaround that can be used to turn any “idea” claim into a “labor” claim, thus eviscerating the limits on idea misappropriation that have been carefully developed in order to prevent the cause of action from interfering with the general freedom to copy, it doesn’t make sense on its own terms: Hall labored for himself. BBB didn’t somehow end up with his towels or owning his patent, although it copied his towels. It’s the results, not the labor, that BBB allegedly misappropriated; it’s not like Hall painted a BBB store and didn’t get paid. The court of appeals still reversed. 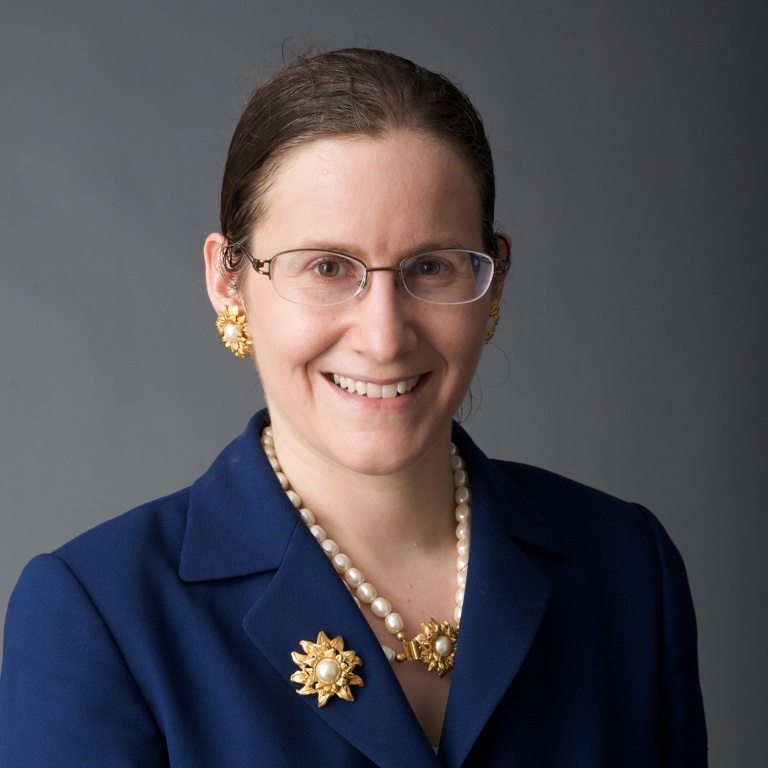 “New York law does not condone inappropriate actions, and provides that equitable doctrines may support a misappropriation claim.” It can impose equitable obligations to prevent injustice even without an actual agreement between the parties. 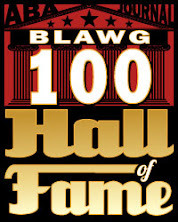 Unfair competition can be “any form of commercial immorality, or simply as endeavoring to reap where one has not sown.” Thus, the district court erred in holding a contractual relationship required for misappropriation, whether the misappropriation is of an idea or of “labor and skill.” Hall provided his sample towel in good faith and BBB then acted to his detriment, so the claim shouldn’t have been dismissed on the pleadings. principles of patent law preemption do not override potential causes of action based on unfair commercial practices. New York misappropriation law extends to “commercial immorality, or simply as endeavoring to reap where one has not sown.” We conclude that federal preemption does not apply to the circumstances set forth in the pleadings. If there was no contractual relationship, or implicit confidentiality agreement (which is how I'd spin this holding), I have no idea why this would be true. NY misappropriation law may try to extend to reaping where one hasn’t sown, but that’s why it’s quite often preempted. The court upheld the dismissal of BBB’s false advertising counterclaim, which was brought on the ground that Hall falsely claimed that his towel was protected by his patent when the patent was really just pending. The district court found it plain from the pleadings that Hall’s representations weren’t made with the intent to deceive, and one defendant appealed on the ground that §43(a) doesn’t require deceptive intent. The court of appeals upheld the dismissal because no plausible false advertising issue arose under the circumstances of the case. Likewise, the false marking counterclaim based on Hall’s retention of the label “patent pending” for a few months after the patent had issued failed because under the AIA, which applied retrospectively, defendants couldn’t allege competitive injury. Overclaiming of moral rights by the PTO? Slot machine messages as misleading speech?